It doesn't get much brighter than this tie. 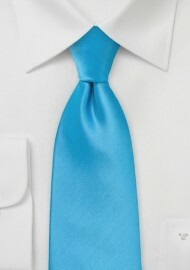 If you are looking to make a fashion statement then this Cyan blue tie will be perfect for you. Because this tie is so bright in color and has such lustrous shine, we suggest pairing it wit a solid white shirt and light gray or charcoal suit. 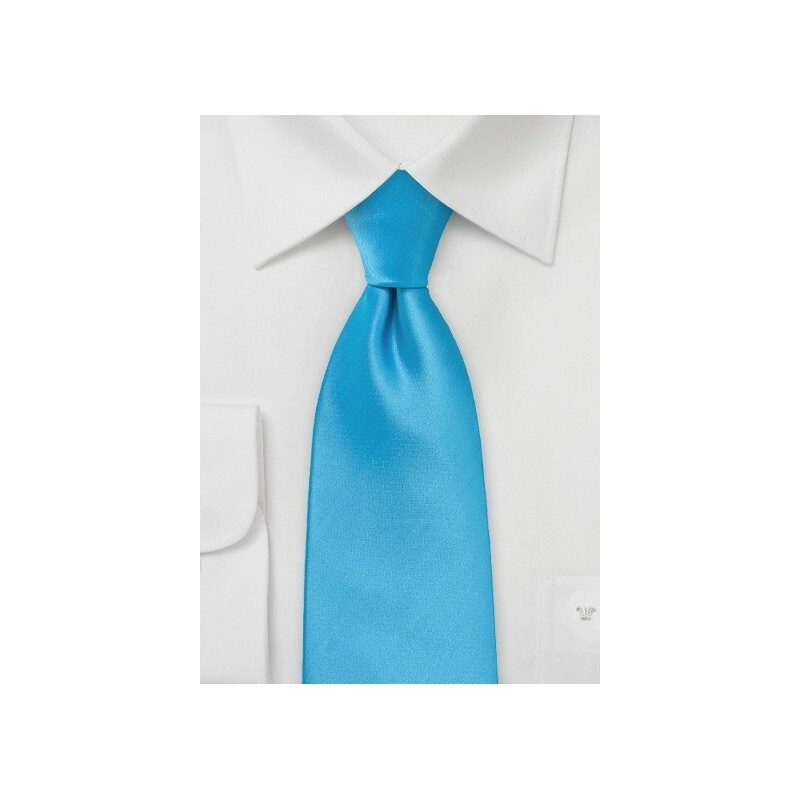 This tie is made from a fabric called microfiber. It is a perfect man made version of pure silk. It has a shine like silk and feels just like it. Unlike silk, it is more resilient to absorb stains.